Time is money and when a machine breaks down it impacts on your business. Regular servicing and fast, reliable repairs minimise the disruption, letting you get back to work. 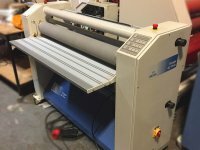 For the last 20 years they’ve been performing all manner of miracles, getting laminators, cutters and trimmers back up and running so customers can deliver goods on time. All maintenance work is carried out quickly and efficiently with appointments made to fit in with your production schedules. 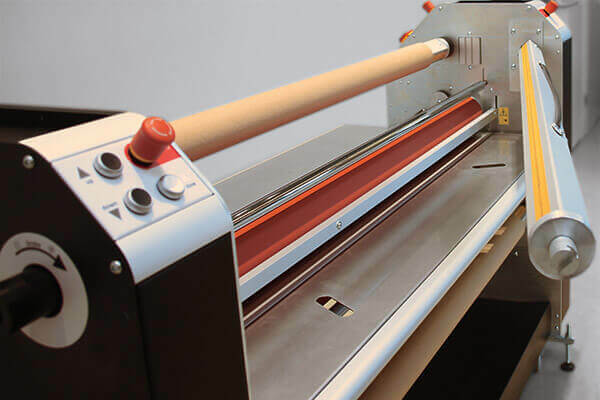 No challenge is too great; Laaco technicians have a comprehensive understanding of machinery from a wide range of manufacturers, including Seal, Sallmetal, Neschen, Mactac, Morane, Keencut and Neolt. All work is carried out to the highest possible standards using genuine manufacturers parts covered by a 3-month warranty. Call 0161 285 9466 to obtain a competitive quote for servicing and repair contracts. We were in the middle of a large job requiring lamination when our machine broke down in the morning. An urgent SOS to Laaco, who had an engineer with us in the afternoon, and we were laminator again later in the day. Laaco saved the day. 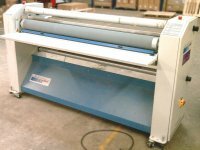 We needed a large laminator to fulfil a new production process that we had designed. We did lots of testing with Simon before buying a refurbished Seal 600. An excellent purchase. 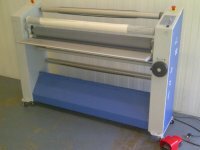 Over the years our two seal laminators had been given a hammering and the rollers were badly cut. 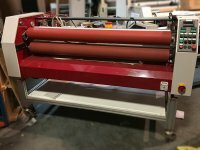 Simon explained that it would be much cheaper to replace the top rollers on both machines than to replace two £12,000 laminators. They were both done in one day with little or no down time to our busy production schedule. Simon is a goldmine of information on laminators and application. I have worked with him for many years. I bought a Seal 42 Plus from Simon. After a full day training with Laaco Laminates, I was turning out full size panels and making money. 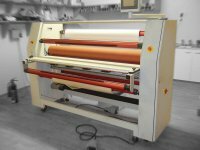 I have used Simon for many years for the repair and service of my laminators. When we got the order to apply strengthened laminate to the back of our new brick panels we contacted Simon and visited the Demo Room for testing. The Seal 600 Laminator rapidly coated the heavy brick panels for us. 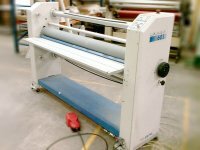 We have used Simon for over 15 years to service and repair all our cutting and laminating machines. He always does what he says he’ll do and when he says he’ll do it. Happy to recommend him anytime. I have now bought 2 laminators from Simon. His depth of knowledge and quality of stock is second to none. Very patient whilst I had to do all my tests. The 2.0m wide OMMA Laminator I bought from Simon is probably the best bit of kit I have ever bought. We bought it for mounting but found it could slit and rewind as well. I have now bought 4 machines from Simon in 15 years.